It is September, and classes are underway at UL. To the east, over the warm waters of the Caribbean, a deadly storm hits Dominica, then sets its sights on the next target. In Lafayette, Marco Ramos’ mind is immersed in a mission to accomplish what he could not a year earlier. 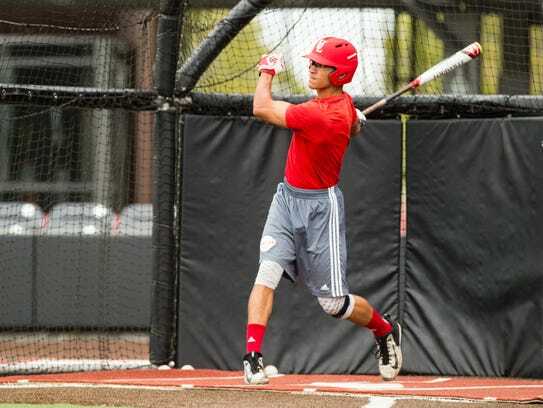 The junior-college transfer is toiling, again, to make UL’s baseball team as a walk-on. In Puerto Rico, the horrible hurricane — they call her Maria — devastates the island. It strikes as a high-end Category 4, blowing gusts up over 200 miles per hour and leaving a still-ongoing crisis in its wake. Marco’s father Papo Ramos — a wildly popular brawler whose exploits hold a special place in Ragin’ Cajuns baseball lore — and his mother, the former Maria Christina Giron — an ex-UL volleyball player — survive a disaster that upends their lives and those of millions of Americans who call Puerto Rico home. Marco is conflicted, his head trying to stay locked in on making the team, his heart broken by what’s happened. “My mom called me the day before (Maria hit),” Marco said a few weeks later. Marco must keep his attention on school, and baseball; he knows there’d be nothing he could do from so far away. Yet, that’s easier said than done, especially as the hours of waiting to learn his family’s fate turn to days. “I was out here giving it my all; in the back of my head, I’m like, ‘I can’t call my mom and tell her what I did today,’” he said while standing near the outfield of Russo Park at M.L. “Tigue” Moore Field. “I didn’t even know what they were doing — if they had water, if they had food, if anybody’s trying to loot the house. By God’s grace, Papo (his given first name is Yariel) and his wife (they call her Tina) were safe. So was Marco’s sister Adriana, a former Norfolk State volleyball player who now works at a San Juan restaurant. But with power and communications down throughout most of the island, much time passed before Marco knew for sure. Early on, hospitals were closed, fuel was at a premium and food couldn’t be delivered to areas where homes were blown to bits and roads were washed out. More than a month later, most of Puerto Rico still is without electricity, and will be for months; drinking water is tainted, and there’s no telling when some areas — especially rural ones — will return to normalcy. Papo Ramos — largely responsible for igniting UL’s decades-old baseball rivalry with South Alabama, and a man who once chased an opposing fan with a bat in hand — remains in Puerto Rico today. Employed in the investigations branch of the United States Department of Homeland Security, Papo currently is the acting deputy special agent in charge in Puerto Rico and the U.S. Virgin Islands. He’s usually busy investigating everything from narcotics smuggling to human trafficking, money laundering and much more. But that changed after the hurricane arrived, prompting deviation from the usual core mission. Before Maria hit, but after Hurricane Irma did extensive damage in the Virgin Islands and elsewhere just a few days earlier, Papo and Tina did what they could to help victims of that horrific storm. And soon they were victims themselves. When Maria came, the tables were turned and Puerto Rico’s infrastructure was destroyed. “It ripped apart everything,” Papo said. As Maria hit with high winds that shook everything in sight, Papo — who doesn’t frighten easily — admits that even he shuddered. The house in which he and Tina stayed, and which Marco has known as home ever since he’s been in college — the one located in the Northeast coastal town of Luquillo, not far from Fajardo and about 30 miles from the capital city of San Juan — took a beating. “It was scary,” Papo said. “Water was coming in. One of Papo’s tasks in the storm’s immediate aftermath was to provide security so fuel could get to the many Puerto Rican gas stations that had none. With the supply severed and reserves drained, customers waited in line eight to 10 hours and were allowed to purchase only a capped amount. “The truck drivers were scared,” Papo said, “so we started escorting the gasoline trucks. Papo — who has much of his side of the extended family still in Puerto Rico — has remained on the island to assist as it rebuilds, because that’s what law-enforcement types do. But his wife evacuated a week or so after Maria struck and relocated to Louisiana, where her relatives still live in the Opelousas area. She maintains the database for the special education program in a Virginia county school system, and can work remotely. But with Internet connectivity so unreliable in post-Maria Puerto Rico, Marco’s mother had little choice but to find alternate accommodations. Much like Puerto Rico’s future, Marco Ramos’ quest to play for the Cajuns comes with no guarantees. When his father worked out of Homeland Security headquarters in Washington, D.C., he played on a travel team and as a freshman at his Virginia high school. The requisite year-round commitment, however, started to take a toll. Marco, as his father tells it, sometimes wanted to fish on the weekends. One day, he approached Papo with some tough-to-take news. “He told me … after his freshman year that he was going to quit baseball and start playing golf,’” Papo said. As it turns out, Marco’s interest in fairways and greens wasn’t the world’s worst thing. Papo even picked up the clubs and enjoyed some quality father-and-son time on the links. But he’s never been very good at the game — “I kept kicking the front leg every time I wanted to hit the ball” — and laughs about it now. With what’s happening at home, the only alternative is to cry. It was around the time of Marco’s baseball-to-golf defection that Papo was assigned to Mexico, where he worked at the U.S. Consulate General in Guadalajara. Marco’s high school there didn’t have a baseball team, but he wanted to play the sport again and joined a local team instead. “I saw a lot of good pitching — a lot of off-speed pitches, a lot of curve balls, change-ups. A lot of lefties,” he said. 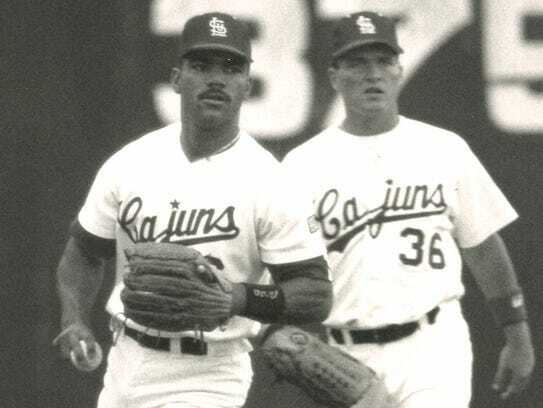 One of Marco’s teammates in Mexico was Papo, a right fielder for the Cajuns who decided to try out even though his career in the minor leagues had ended in 1993. Prior to his senior year in high school, Marco — staying with a family friend — returned to Virginia and his old school there, Riverbend High in Fredericksburg. He made the baseball team, had some success and wound up at Seminole State College in Oklahoma. But the corner outfielder played sparingly at the juco, mostly pinch-hitting, and afterward NCAA Division I offers didn’t exactly pour in. It’s just not in him, much like backing down isn’t exactly in his old man. When he was at Seminole — yes, that same one — Papo’s team traveled to get games in the fall. On one trip, the club split and some played against UL (then called USL) while others played against McNeese State — coached at the time by current Cajuns coach Tony Robichaux. Robichaux remembers like it was yesterday his first full Papo Ramos experience. “I call it the brawl in the fall,” he said. Papo crouched a la Houston Astros Hall-of-Famer Jeff Bagwell when he hit, and that evidently started it all. McNeese’s pitcher was Shelby Shaw, later drafted by the Texas Rangers. “We got up and in again, and we get behind in the count," Robichaux recalled. "So he does, like, a leg kick, and grunts, and he hits a 3-1 fastball (to) Shelby Shaw back up the middle. But it hits the pitching rubber, kind of flies up in the air. A single. When the last haymaker was thrown, and everyone calmed down, the two teams continued playing. Papo, however, was banished to the team bus, which was parked near the Cowboys ticket booth in right field. Robichaux, having stepped out of the seat behind his desk, imitates Papo ripping his shirt apart. So it wouldn’t be the last Robichaux sees of Papo Ramos, whom he wouldn’t have minded signing himself. 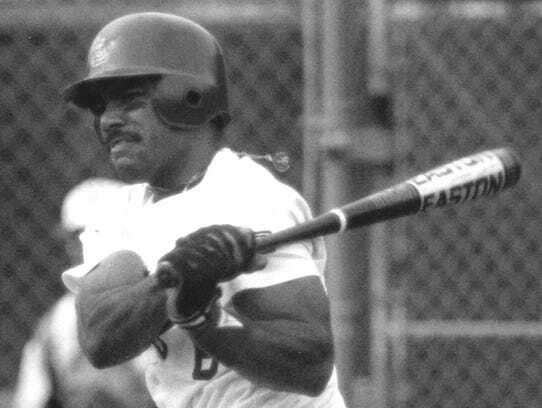 Papo played for the Cajuns in 1991 and led them in home runs (16), RBI (46) and hits (82) in 1992. Those were “crazy” times, Papo said. But they’re not nearly as loco as what’s happened in Puerto Rico, where Papo has a job he might never have gotten if he hadn’t been cut short in another of his wacky games. Coach Mike Boulanger’s rough-around-the-edges Cajuns were playing Nicholls State, and the opposing fans — as was so often was the case — were on Papo. He remembers several of them being Nicholls football players. “I think I was 0-for-3 … and the comments were getting to me,” he said. Then he heard something said about his mother. What unfolded sounds like quite the scene. “He kept jumping (over a short fence) back into the field,” Papo said. “When I would jump back to the field, he would jump outside of the field. So we did that for a while, and everybody, you know, piled on me. I didn’t get to get a good swing. Nicholls fans. McNeese fans. Lamar fans. Thanks to hard-hit balls, barbs and brawls, Papo had a special relationship with each and all. But no brouhaha had longer-lasting implications than what went down with South Alabama. With the memories of so many a tad hazy some two-and-half-decades later, details on precisely what happened and when tend to differ a bit each time the tales are retold. But the bottom line in this one is that Jon Lieber, who went on to to pitch in the majors, hit Papo with a pitch during a 1991 NCAA Regional game. The bad blood spilled over, and when Lieber nailed Papo a second time in the same 1992 game — this time getting him in the ribs — Papo charged the mound. “That’s when hell broke loose,” he said. What Papo remembers most is the blood pouring from someone’s ear — whose, he cannot recall. From snap-glove catches to his brash willingness to throw down whenever and wherever, a Cajun legend has withstood the test of time. “I guess for some reason they used to see me as a very cocky player,” Papo said. “(But) it was never my intention, you know, to portray that in a very negative way. It was just the way I played the game. Marco Ramos has heard the stories. “He’d tell me about the little fights he got in, the South Al fight,” Marco said. So Marco can chuckle too. “He always tries to make me feel better — you know, ‘I wasn’t as big as you think I was,’” Marco said. Marco could have pursued his bachelor’s degree just about anywhere. But he wanted to play at UL, even if it meant having to ask for a tryout. So now — he had to have sensed it would happen — it seems every time he turns at The Tigue someone brings up his father. “When I get introduced to these old-timers, especially — they’re the true fans — they always tell me, ‘Can’t wait to see you out there. Your dad was a stud. He’s one of the best,’” Marco said. Papo pulls for Marco to get his chance, but doesn’t want his son traveling the exact same road either. With a lifetime’s worth of wisdom gained, the father knows now he might have gotten carried away a time or two. “He has that in him,” Papo said. So although chunks of the elder are layered throughout the younger, they’re still two of a kind. “So I kind of want to make my own path,” Marco said. Papo knows well just how hard that first fall — last fall — was for Marco at UL. It was an autumn to forget. Robichaux cut him, and it still stings. “(I) went to the cages one day and started swinging again,” Marco said, “and I said, you, know, I can’t leave it like that. After last season, when his players scattered, some getting as far from The Tigue as they could, Robichaux would leave his office at night and see Marco working on his hitting. Papo and Tina were married at home plate of The Tigue in 1992, and figured they were about to embark on a long career in pro ball. But Papo stopped playing a short time later when, much to his surprise, he was told his time was up. Selected by the San Francisco Giants in the 1992 Major League Draft’s 23rd round, he hit .306 with 11 doubles and a couple homers in 66 games as a rookie for the then-Everett (Wash.) Giants of the short-season Class A Northwest League. Papo was hitting .308 through just three games the next year for Clinton (Iowa) of the Class A Midwest League when he was released. Tina was pregnant at the time with Adriana and, without insurance anymore, times were tough. The two had met at UL, after Papo first got to know her father at church. As Papo shares the story, he sang in the choir in a Spanish-language Catholic Mass on campus and after a service one day he was telling someone about needing help with one particular subject. Tina’s father, a man of Guatemalan descent who played guitar at church, heard him and told Papo to call his daughter for assistance. They met at the library. “Forget it,” Papo said, the laughs starting to build again. Out of the minors less than two seasons after getting in, Papo — three courses shy of graduating — and Tina soon returned to the familiarity of Acadiana area. “Thank God I had a lot of beautiful-hearted people that were fans,” he said. Someone helped him get a carpentry job, even though he knew nothing about the craft. He briefly worked at Walmart, for FedEx and — the best job of the bunch — in the oil fields. But, wanting more, Papo returned to school and applied for federal jobs, first landing one in 1996 as a U.S. Customs inspector in Puerto Rico. That kick-started a career that would later take him to the D.C. area as an ICE special agent, to Mexico and finally back to Puerto Rico. Now Marco is majoring in criminal justice, with plans to join what’s become the family business. First, though, Marco has this team he’s trying to make. As the Cajuns head into their fall-ending best-of-three intrasquad starting Monday, the odds seem stacked against him. Twenty-seven UL roster spots are allotted to scholarship players, and three of the remaining eight are tagged for returnees, leaving five spots for a couple dozen or so hopefuls, Marco among them. “He’s put in a lot of time and a lot of hard work,” Robichaux said, “and he has gotten better from last year to this year. Marco, a left-handed singles hitter who plays with passion, is on the bubble. If he makes it, it largely will be because of attitude and approach. Guys like that are great in the clubhouse. But for a team short on experienced pitching, there isn’t necessarily room for them all. Family ties — the Ramos story — make the call that much tougher. “Because it’s a good story,” Robichaux said. A decision will be made sometime next month. “I think everybody will tell you: The guy plays hard, runs hard every day,” Robichaux said. Whatever happens, Papo suggested, Marco will be at peace with it. “He said, ‘Papi, I went all out. I’m satisfied now,’” Papo said. A year ago, he was not. Related: Will atmosphere at The Tigue change with renovations? “And for them to tell me I wasn’t gonna make it — it’s been a dream for me to come to UL to play here, after my dad and my uncle. And I just want to make a dream come true. The time between tryouts was trying, but Marco — hardened by his family move to Mexico — did not cave. He stuck to his word. As Marco waits now for word from Robichaux and the Cajuns, he does so with a feeling many back on Papo’s island know all too well. A sense, that is, of uncertainty. Click here for video. 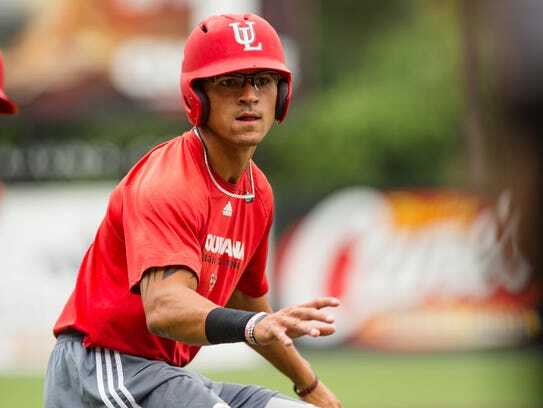 Outfielder Marco Ramos is making a bid to join the Ragin' Cajuns. Footnote by Dr. Ed Dugas. Marco's mother, one of our proud HPE graduates, was also a Ragin' Cajun athlete. Marie Giron Ramos was a member of the USL Volleyball 1987-91. Please click here for the 1991 Volleyball photo gallery. Click here for the 1992 Baseball Photo Gallery, then for the photo of Marie and Papo getting married at home plate of the Tigue.